The movies often portray boxers as rough violent goons with bad attitudes. This could not be further from the truth. In fact, most physical sports develop a strong sense of discipline and responsibility. Of course, there are a few individuals, as is the case in any field, who misuse their skills. I would like to draw your attention to some admired well-known boxers who have become pillars of hope and inspiration not only in their communities but also globally by modelling discipline and sobriety in and outside the boxing ring. One cannot talk about boxing heroes without mentioning the great Muhammad Ali. 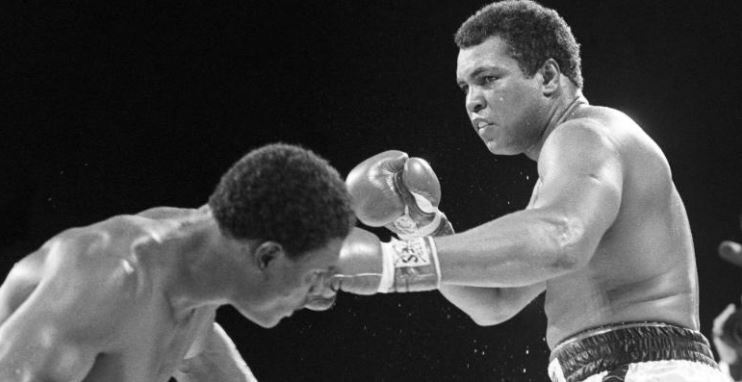 Muhammad Ali AKA Cassius Marcellus Clay Junior is one of the most celebrated boxers of all time and set boxing records that took 35 years to beat. Ali began amateur boxing training in his hometown, Louisville, Kentucky, when he was 12 years old. Ali went on to win the light heavyweight gold medal at the 1960 summer Olympics when he was 18 and continued unbeaten for three years between 1960 and 1963 with a record of 19 – 0 with 15 knockouts. Ali built a legacy as a freedom fighter in and outside the ring and was even imprisoned for three and a half years after refusing to be drafted to the Vietnam War which he did not believe in. In his later years, he was famed for his humanitarianism and philanthropy and is estimated to have helped feed more than 22 million hunger-stricken people in his lifetime. Emmanuel Dapidran Pacquiao was born in the Philippines on December 17, 1978, and is one of the most inspiring Boxers of our time. Manny is a true hero, rising from a poor background, the now 39-year-old boxing legend is a Senator in the Philippine House of Representatives and is the main contender for the 2022 Philippine Presidential Election with the incumbent president, Rodrigo Duterte, grooming Pacquiao as his successor. Ranked second on ESPN’s list of top ‘pound for pound’ boxers in the last 25 years, Pacquiao boasts nine major world titles and was the first boxer to win major titles in four of the original eight boxing weight classes. Manny Pacquiao is a perfect example of what you can achieve as a disciplined boxer. Walker Smith Junior, AKA Sugar Ray Robinson, was born during a difficult time for African Americans in the history of the United States. Despite having massive odds stacked against him, he managed to rise and take the crown as the greatest boxer of all time, topping The Ring Magazine’s list of “80 Best Fighters of the Last 80 Years” in 2002. Robinson originally wanted to be a doctor but focused on boxing after dropping out of school at 15. He turned professional when he was 19 with an amateur record of 85-0 with 69 knockouts. His determination, drive and consequent success inspired many young African Americans of the time to reach for their dreams. Robinson’s performances in the ring as a welterweight and later a middleweight champion made sportswriters start comparing boxers ability regardless of the weight class in what is referred to as ‘pound for pound’ ranking. Floyd Mayweather is one of the most popular names in boxing today and is famed for turning his boxing career into a financial success. Floyd burst on the scene when he won a bronze medal in the 1996 Olympics in Atlanta and has been on the rise since then. His professional boxing record is spotless with 50 wins out of 50 fights with 27 knockouts. Konstantin Borisovich Tszyu is a Russian Australian Boxer who began representing Australia in 1993. His professional career stretches from 1992 to 2005 where he amassed 31 wins, two losses and one contest from 34 bouts. He has been ranked the hardest hitting light-welterweights of all time and was the undisputed champion between 2001 and 2005. Despite being involved in several legal disputes with managers and trainers, Kostya is considered an Australian hero for his victories in the ring and impact on the sport, inspiring many young people to take up boxing. Boxing training is quickly becoming one of the most effective ways to manage anger and instil discipline in many young kids while developing strength, fitness and useful self-defence skills. The sport has created a solid foundation for much-troubled youth in the past especially for the five boxers mentioned in this article. ← Previous Previous post: How long should a filling last?